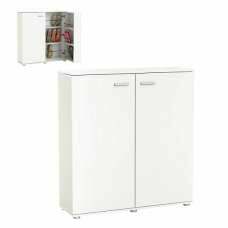 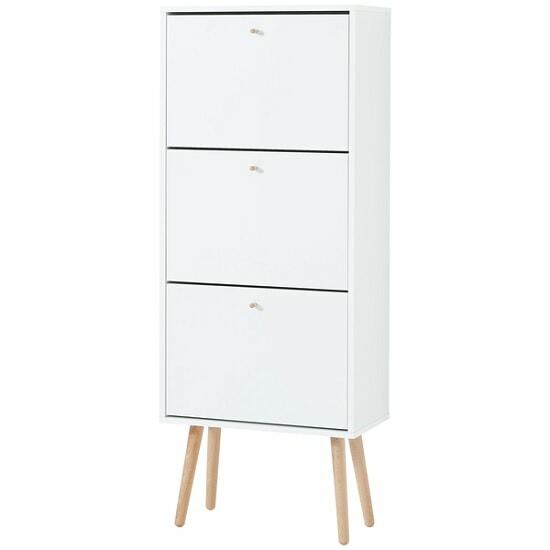 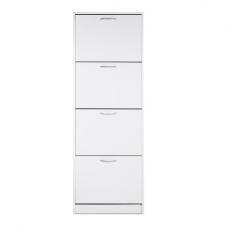 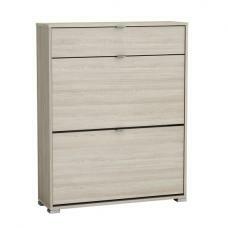 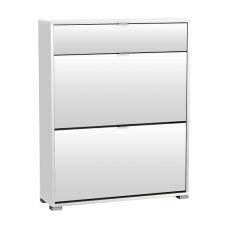 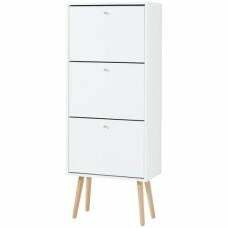 Dorchester Shoe Storage Cabinet In White With Solid Wood Legs And 3 Flap Doors, ideal for modern hallway space. 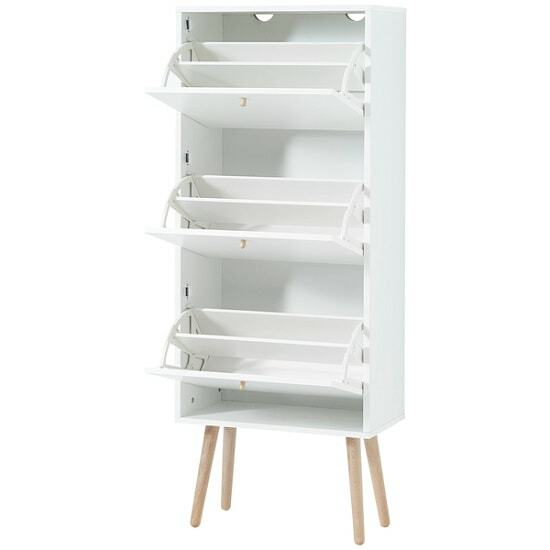 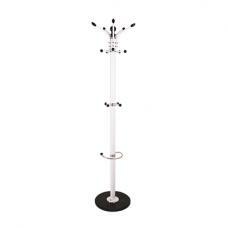 Made of Chipboard and coated with melamine resin in white finish. 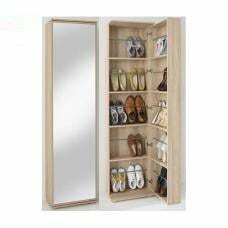 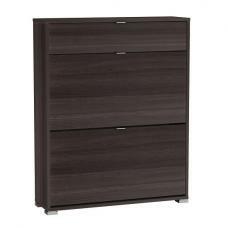 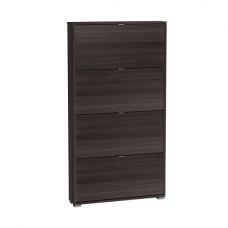 It features 3 Flaps which offers storage space for up to 12 pairs of shoes. 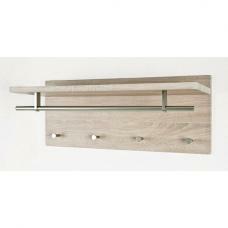 On the top shelf, you can put your any decoartive stuff perfectly for the limelight. 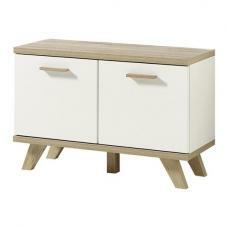 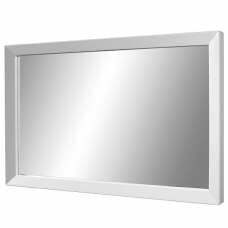 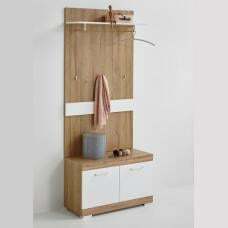 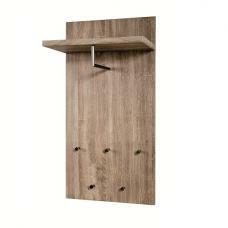 Handles and feet made of solid wood as well as the white fronts ensure a natural and timeless appearance. 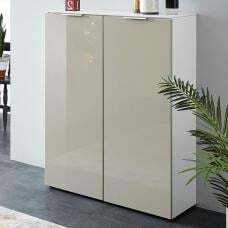 The melamine resin coating provides a robust and shock-resistant surface of the furniture, as moisture simply drips off.